No matter how diligent your company might be when it comes to performing credit checks on your customers, you might still sometimes have trouble collecting your receivables. In some industries, bad debt is considered an unfortunate cost of doing business. But there could be a silver lining to bad debt: you might be able to write it off on your tax return, thus reducing your federal income taxes. Whether your bad debt is tax-deductible depends on several factors, which we’ll explain in more detail below. What is Business Bad Debt? Per the IRS, if you have tried to collect these debts but have been unsuccessful after a reasonable period — and there is no longer a realistic chance that the debt will be repaid — the uncollected amount becomes a business bad debt. To deduct bad debt on your federal income tax return, you must have previously included the amount of the debt in your taxable gross income. Therefore, you must use accrual accounting to deduct your bad debt. If you use cash-basis accounting, the debt was never included in your income, so it can’t be written off. 1. Credit sales to customers — These consist of goods that have been sold and services that have been performed but not yet paid for. 2. Business loans — This includes loans made to clients, suppliers, employees or distributors that are not repaid after repeated attempts to collect. 3. Business loan guarantees — This includes debts paid or payable by your company that become worthless if the guarantee was made during your trade or business and you made the guarantee before the debt became worthless. Bankruptcy is one common cause of business bad debt. In this scenario, a customer may inform you that they are filing for bankruptcy and owe more to their primary lien holder than their assets are worth in liquidation. Therefore, your outstanding debt will not be paid. Upon receipt of this notification, you can go ahead and deduct the amount of the unpaid receivable as a business bad debt. 1. Direct Write-off —You will write off the uncollected receivable after you determine that the debt cannot be collected. The process: issue a credit in your books to accounts receivable and a debit in your books to bad debt expense so this is reported on your income statement. 2. Allowance — This method anticipates uncollected debts in advance. You will issue a debit to bad debt expense and a credit to an allowance for doubtful accounts. When receivables are deemed uncollectable, you will issue a credit to accounts receivable and a debit to the allowance to adjust AR on your balance sheet. The direct write-off method is used for tax purposes while the allowance method is used for financial reporting purposes under generally accepted accounting principles (GAAP). This is because the direct write-off method recognizes bad debt expenses from a previous accounting period, thus violating the matching principle of GAAP. So, if you made a sale in October of last year but decided in February of this year that the debt is uncollectable, the bad debt will be recognized this year. Thus, an expense from last year would be deducted against revenue from this year. Conversely, the allowance method recognizes bad debt losses closer to the time when the credit sale was made. This way, the bad debt expense can be matched to the same accounting period as when the sale was made, which complies with GAAP. No matter how diligent your company might be when it comes to performing credit checks on your customers, you might still sometimes have trouble collecting your receivables. But there could be a silver lining to bad debt: you might be able to write it off on your tax return. Whether your bad debt is tax-deductible depends on several factors. 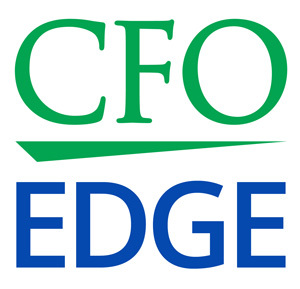 An outsourced CFO services provider can help you determine if you can write off bad debt losses and, if so, the proper accounting method to use when deducting bad debts.